I am a big fan of the first season of Daredevil by Marvel and Netflix. I think it’s one of the best seasons of television I’ve ever seen. From the gritty action scenes and just how unapologetically violent it is to the actors and how they portray the characters to the writing and the pacing. I’m struggling to think of an element to it that felt slapped together. All in all its a beautifully crafted show, and we’re about to get a second season. This is where I’m getting excited. As I’ve said, I loved the first season, but in season two we’re getting Frank Castle, aka The Punisher. The Punisher is one of my favourite all time characters and I am itching to see how Jon Bernthal portrays him. A couple of trailers and some images have been released and I’m even more looking forward to it now. Bernthal really does look the part. Only about a month to go now. Today I managed to knock out 1632 words before my brain stuck up the white flag and shut down for the day. Those words give me a total of 33,023 words for the month. The world I’m working in is coming together nicely but I’m not really settled on an overall storyline. I’ve got lots to play with here but as I’ve said in other posts, it’s all over the place. It really is going to be interesting to look it over and see what I can do with after NaNo. I’ve really made the most of having the iPad today. I wrote before work, during my lunch break and in the car to and from the hospital (no, I wasn’t driving). This is the sort of mindset that I need to nurture. Even with this story, which I’m a long way from loving, I’ve found it very easy to get the words down. My typing speed on my Logitech Bluetooth keyboard is getting quicker too. I was hoping to get a decent word count this weekend but I have a relative in hospital at the moment and Jessica Jones goes live on Netflix tomorrow and I’m pretty sure I’m going to have it watched by the end of Sunday, Monday at the latest. But I’m determined to have at least the minimum daily amount written before I start in on it each day until I’ve seen all thirteen episodes. Oh and I have dinner out Sunday evening, so I’ll probably won’t get Jessica Jones watched by the end of the weekend, but it’s not going anywhere. 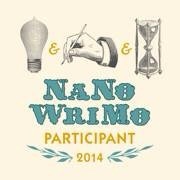 As normal, if you’d like to add me as a buddy over at nanowrimo.org I’m PeterJReaper there. There are also links to my Facebook and Twitter on the right of this page. I was flicking through Facebook last night, as one does, and I saw a post from one of the various comic book pages I follow, announcing that not only would The Punisher be coming to the second season of Daredevil but they had cast Jon Bernthal as Marvels notorious vigilante. When I read this I was sitting in my car waiting for someone, I hit my head on the roof lining of my car as I jump from the sheer joy of seeing this news. I am a huge fan of The Punisher, I think he is one of the most interesting characters that Marvel has created and I’ve been itching to see him appear in a Marvel Studios production. I’ve been seeing rumours that Netflix are going to have a Punisher series and I really hope that is the case. Casting Bernthal as Frank Castle/The Punisher to me is a statement of intent to do just that. I think Bernthal is a natural for this role. We’ve seen his acting ability in The Walking Dead and I think he’s going to be able to pull off that tormented nature The Punisher has. He’s also got the physicality that is needed as well. In his time in The Walking Dead he also should that he could be brutal and that is something that an actor playing The Punisher needs. Needless to say, I’m a tad excited about this and I think Daredevil had better watch out because he won’t have come up against anyone like The Punisher before. It’s been a chilled kinda day today. My Nan was over for dinner so I decided to be sociable. I did manage to get a dead on 700 words by about 1pm when my iPad battery started getting low. Then I spent most of the afternoon reading Marvel’s Original Sin (got about halfway through) before going in for a couple of sprints on my local NaNoWriMo group on Facebook. Those sprints got me up to 2791 for the day and for a total of 48,476. I’ve said in the last few days that I wasn’t sure whether I’d had enough story to hit the 50k, but now I’m thinking I may have about another 10k words to go till the end of the story simply from what I’ve written over the last couple of days.